We have had exes, men that came in our lives , incarnating our ideal at that time & who appeared to Be more a character coming from our worst nightmares for some, others appeared to be more friends than life partners & for the majority of them, it was a pure mismatch , nothing that time or a major revolution could have improved in any ways. The so charming appeared to be so narcissistic, the open minded showed his awfully possessive face, the party animal made it clear that he wanted to party but alone, the Perfect Bachelor had two wives & 9 kids (thanks to Ovation magazine & their coverage of society weddings), & the list goes on & on & on…I am sure you can complete with me. Whether Ex-flirts, Ex-Boyfriends, Ex-Chaser , & even Ex-husband, let’s learn not to hate or keep grudge . No matter how hard they might have hurt me, (I must have hurt some of them too obviously), It took me time to free myself from pain, anger & even some sort of feeling close to hate, ( I somewhat felt humiliated in some situations, I will spare you the ugly details, but I am sure we all went through that). But in the end I am soo grateful to those who came in my life as a lesson teaching thingz & being part of my journey & in the creation process of the being I am today . So just do your best to work on yourself, heal from your unseen scars , pick up your life, put your pieces together & whenever you feel ready , move on to living your own history. LESSON 1– People don’t change & you won’t change them no matter how much you love them OR EVEN HOW MUCH THEY LOVE YOU. Fact. LESSON 2– Be Independent as much as you can , work hard, have an income of your own, & count on yourself no matter how rich your husband or your parents could be. Other people’s money is their money. LESSON 3– Boyz will always be boys. So they will always like their male gathering, enjoy going out without you & that won’t mean they don’t love you. LESSON 4– There is a difference between lust, infatuation & love. A man in lust will lose interest if he doesn’t get what he want, an infatuated man is just a lost bobo looking for a fling, whereas a man in love (Real love), will do what it takes to respect the courtship rules & make you happy. LESSON 5– A man can fall out of love & interest even after 40 years & 6 kids , there is nothing wrong for them about that. So if Love is dead for him, & you are not in a fighting mood , have a plan B,C & D.
LESSON 6-A man in love with someone else when he is with you can be wicked. Fact. So read through the lines. LESSON 7-Seeking revenge will hurt you more & make you look like a fool. The guy is happy with someone else so try & be happy with yourself. LESSON 8-Possessive insecure Jealous guys always picture you having an adventure , coz somehow they are not faithful & think everybody is like them. LESSON 9-He might cheat on you & still love you. I know some won’t agree but you need to analyze facts. LESSON 10– YOU WONT DIE FROM A BREAK UP, IT WILL BE ANOTHER START UP OPPORTUNITY, What doesn’t kill you makes you stronger. LESSON 11-SOME LOVES STORIES ARE BEAUTIFUL BUT NOT ENDLESS LIKE IN THE BOOKS. LESSON 18– NO RELATIONSHIP IS HERE TO HEAL YOU, You have to find the strength within you to sort your issues. LESSON 19– TO BE SINGLE IS NOT SO BAD , BUT GIVE LOVE A CHANCE, BE OPEN TO SHARE YOUR COMPLETE LIFE WITH ANOTHER . LESSON 20– Cultural & religion differences are not so easy to embrace in Africa & different cultural point of views require a lot of “management’ & “compromise”. So listen to your mother once in a while. LESSON 21– Commitment is not soo easy… Are you ready to be in a polygamous marriage? Will his children Love you? His mother is known to have a strong grip on him? Etc. It is not only about hearts & flowers …It is called real life. LESSON 22-SOMETIMES LOVE IS NOT ENOUGH. YOU LOVE HIM , HE LOVES YOU BUT YOU CAN’T SACRIFICE YOURSELF ON THE ALTAR OF LOVE. LESSON 23– NOBODY IS WORTH SACRIFICING YOUR DREAMS; some people have issues WITH YOU BEING YOURSELF …And certainly someone will love you for being Your real self. 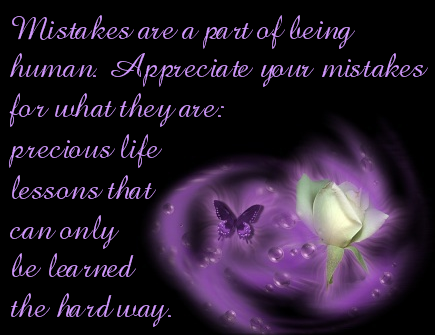 LESSON 24– Your Ex is by no mean your competitor, so celebrate & bless the fact that he has been in your life as a lesson . LESSON 25-Unlike what society & culture is stressing upon us , to be single is not a disease & it is far much better to be happily single than bitterly married or depressively in a relationship. LESSON 26– COMMUNICATION IS KEY , ASSUMPTIONS MIGHT GIVE YOU HEADACHES? HEARTACHES, STOMACHACHES FOR NO VALID REASONS; ASK what you want to know. LESSON 27– A person’s unjustified negative behavior towards you is most of the time motivated by inbred issues from his background , education &/or personality. LESSON 28 Sometimes the right person arrives at a wrong moment or is in the wrong situation… And when it’s the case do what is right for you. LESSON 30– A Cheap guy is a cheap guy & will be a cheap husband…Ditto. And many rich guys are cheap ooh. GOD has a plan for you, so keep faith instead of living in the constant fear of being hurt, left, or even loved.